The Temple of Pentecost is an Apostolic Church, affiliated with the United Pentecostal Church International. In 2018, we celebrate our 40th anniversary of existence in Raleigh. The Temple of Pentecost is thankful for 40 years of loving, serving, and reaching Raleigh and the surrounding area. 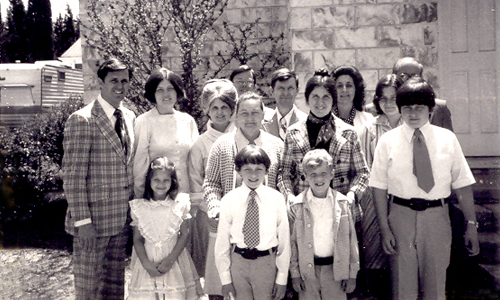 Prior to coming to Raleigh, Pastor Huntley attended Texas Bible College for 3 years, where he married Patsy Landtroop. He evangelized for seven years over the United States before becoming an assistant to Bro. O.R. Fauss at Bethel Tabernacle in Houston, TX. Bro. Huntley, a native North Carolinian, dreamed of establishing and growing a church back home that was equal to the size of large churches in Texas & Louisiana that he had seen and preached in. Bro. Huntley was invited to preach a revival in a neighboring city in December 1977, and the dream began to grow. Before too long, Bro. Huntley preached in Raleigh, and was voted in by unanimous decision of the five members of the church. The Huntleys moved to Raleigh in early 1978 in their 22-foot travel trailer, and lived in it for about seven months beside the church building. 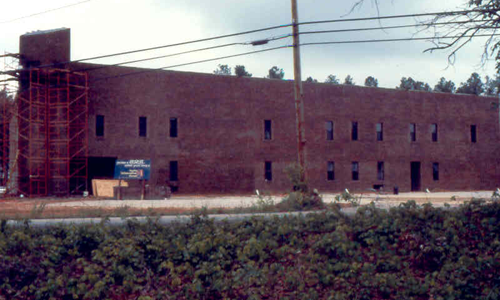 On January 8, 1978, Pastor Huntley preached his first message in Raleigh, titled “The Son is Rising in Raleigh.” There were 15 people in attendance on that first Sunday. The church saw near immediate results – the second Sunday, three people received the Holy Ghost and were baptized in Jesus Name. The church set a goal to reach 100 in attendance on a Sunday morning within six months. On that record-breaking Sunday the head count was 99. The ushers ran out and found a man at the gas station across the street. Service was not dismissed until the goal was reached. Over the last 40+ years, the Temple of Pentecost has had the opportunity to reach out to a great number of people. Through tent revivals, home Bible studies, the launching of a Spanish speaking church, and foreign missions giving, the TOP has touched thousands of lives. We’ve come a long way from the small building on Loop Rd. 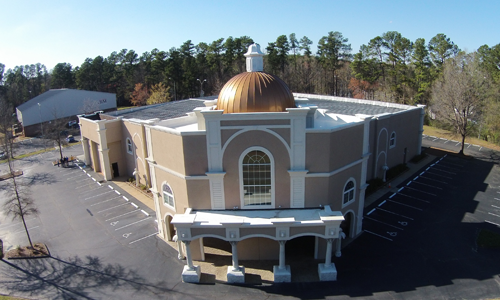 in Garner, to the construction of a new building in 1984, to the remodeling and name change to the Temple of Pentecost in 2008. A lot has changed over the last 40+ years, but one thing that will never change is the message. We believe that the Son is still rising in Raleigh. The UPCI has been among the fastest-growing church organizations since it was formed in 1945 by the merger of the Pentecostal Church Incorporated and the Pentecostal Assemblies of Jesus Christ. From 521 churches in 1945, the UPCI has grown to over 40,000 churches (including preaching points), 35,000 credentialed ministers, and a constituency of about 4 million in 225 nations and territories. The international fellowship consists of national organizations that are united as the Global Council of the UPCI, which is chaired by the general superintendent of the UPCI.